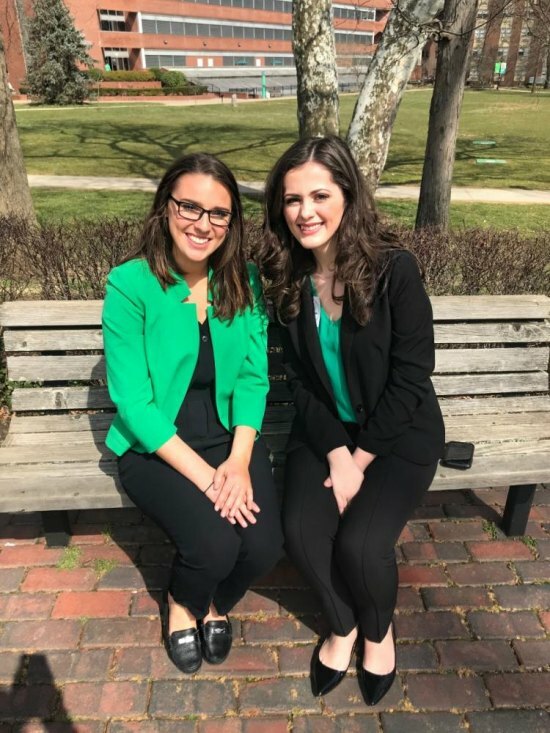 HUNTINGTON, W.Va.—Marshall University’s Student Government Association made history this week with the election of the university’s first-ever all-female ticket. Stephanie Rogner, a junior marketing major from Lawrenceville, Georgia, and Anna Williams, a sophomore communication studies major from Huntington, will step into their new roles as student body president and vice president when their terms begin later this spring. “It’s incredibly special as a woman to form a sisterhood with someone in a leadership position and just have so many people count on you,” Rogner said. Rogner serves as chief of staff for the current SGA administration. Williams is new to student government. Rogner pointed out their top three priorities can be used as recruiting tools as well, which directly affects Marshall. The pair says one of the draws to getting involved on campus is the sense of community that Marshall provides. Students at West Virginia University recently elected an all-female ticket to their student body leadership, as well. Rogner and Williams are hoping they can work together to make a positive impact on higher education in West Virginia. “To see the two major universities in West Virginia with women leading them in 2019 is incredibly special,” Williams added. Marshall’s SGA inauguration is set for May 5.